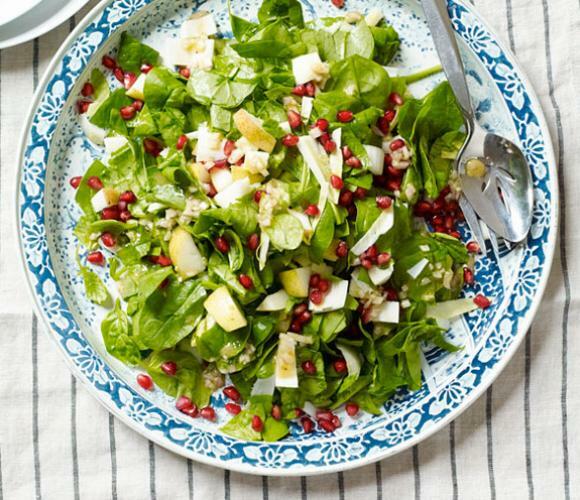 In a large bowl, combine spinach, endive, pear and pomegranate seeds. In a cruet or small airtight container, combine shallot, vinegar, oil, water, mustard, honey, salt and pepper; shake well. Pour dressing over salad; toss until combined.